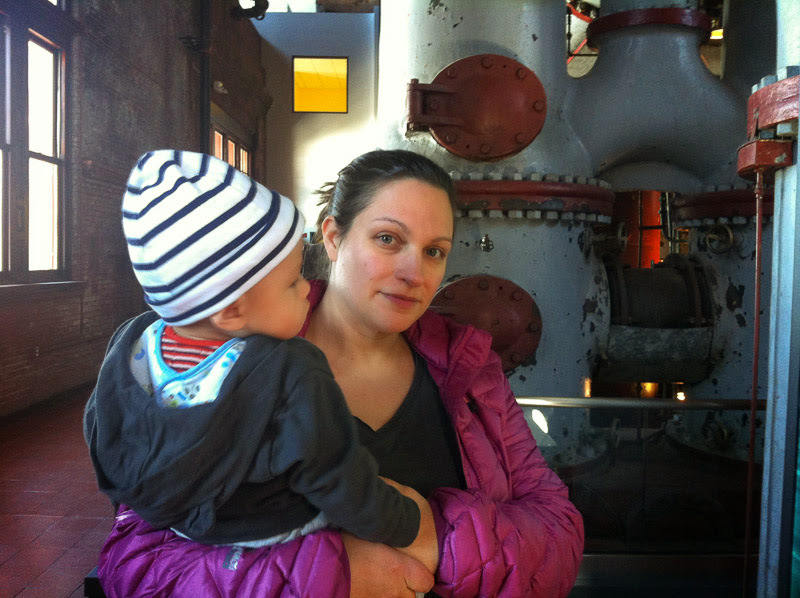 A few people have recommended the Metropolitan Waterworks Museum to us. Huh? 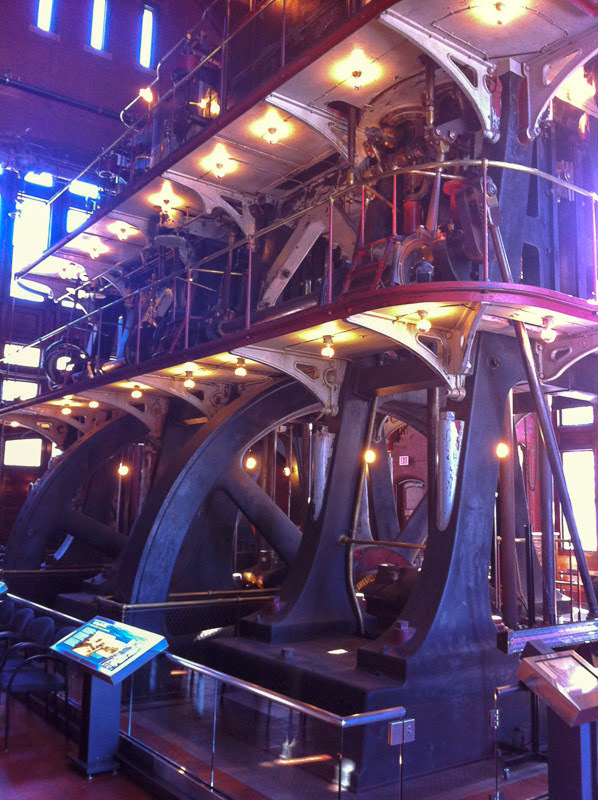 A museum of pumping water? But it was great. Yen left his camera in the car and regretted it. I think we’ll be going back again, surely when Linus is a little older. 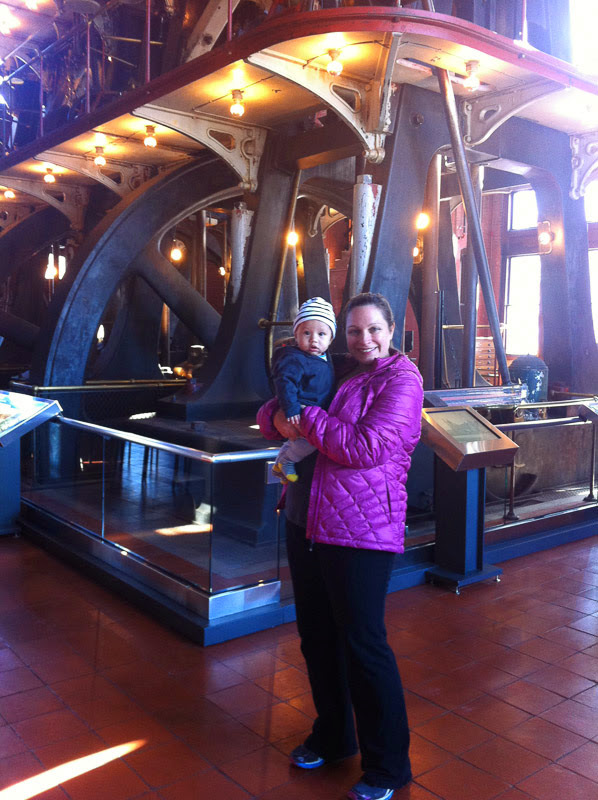 Is the perfect space for a little boy to stand and stare at big machines. 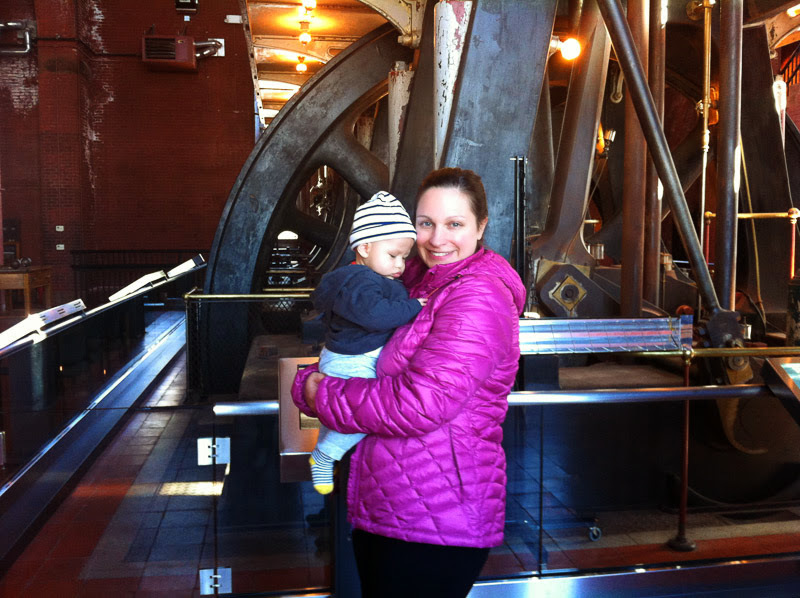 I’m just assuming that he’ll be a little boy who likes big machines. We’ll see. As you can see in this photo, he’s really most interested in one of the zippers on my coat. He’ll get there. This museum is inside the pump house for the Chestnut Hill Reservoir, and used to pump all of the water for metro Boston – up until the 1970s, apparently. 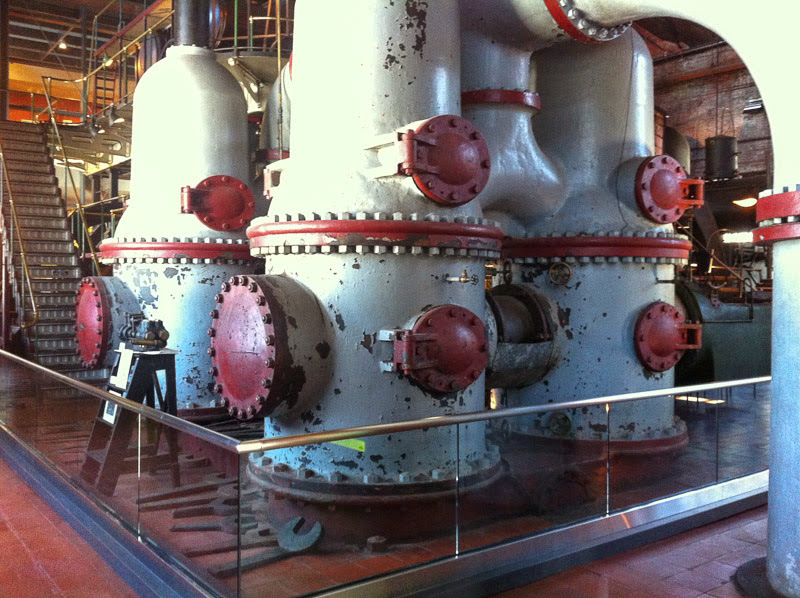 It’s a great space with three giant pumps of different design and vintage. If you go, ask for a guided tour with Peter. He’s a very enthusiastic and knowledgeable kid who volunteers there on the weekends.